Holding a CCNA Security certification highlights competency in installing, troubleshooting, and monitoring network devices with an emphasis on safety and security. With a clear focus on core security technologies, this certification shows that a network professional is able to recognise and stop threats before they develop, as well as identifying and fixing network vulnerabilities before they are exposed. Cisco Adaptive Security Appliance (ASA) is a core part of Cisco security protocols and the suite of associated devices and software package secure corporate networks of varying sizes. Network engineers are expected to know how to manage ASA hardware and software.While the CCNA Security exam tests you on broader security technologies, knowledge of ASA is crucial part of the everyday working life for those working in the industry. What jobs can I get with CCNA Security? Do I need another CCNA certification before taking the CCNA Security exam? Due to the advanced topics covered by the CCNA Security syllabus, candidates are expected to have completed a CCNA Routing & Switching qualification. We’ve developed our training so that students feel confident and comfortable when they sit their exams, as well as preparing them for relevant a job in the industry. 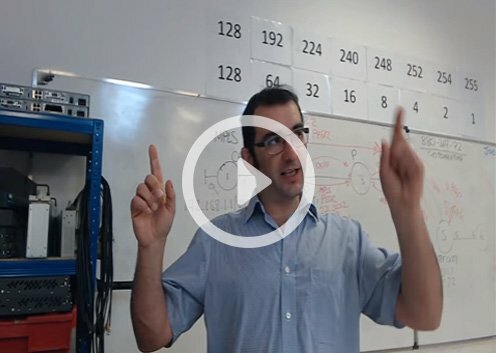 Since 2007 we’ve trained nearly 4,000 students, we know what it takes to make a network engineer. SUPER LAB WORKBOOKS, THE BEST IN THE INDUSTRY! Our Written labs have taken many years to develop and are all geared towards understanding how networks are put together, how they operate, how to fix them when they go wrong and to do this in the most efficient manner possible, also to pass the CCNA SECURITY exam. Our custom written labs are possibly the best in the industry and far better than you would ever get from even Cisco themselves or Cisco press manuals. We should know, we have seen them and we have improved on them immensely over nearly a decade of delivering courses. Hands on is the key to understanding and our labs are designed with that sole goal in mind. Whereas other training companies labs are just typing exercises, our labs will explain each step and then you follow up with our unique challenge labs which test your knowledge against the clock. To make sure that you have understood you also get our custom written “Fault finding” labs packed with 25 broken networks and 100 faults which you have to fix. Our hands-on lab work books are not the only reason you should study with us. When you attend a class with us we record the entire session from beginning to end. Why? because we understand that no matter how great the instructor or how impressive the technology you learn, it is easy to forget in a matter of weeks. 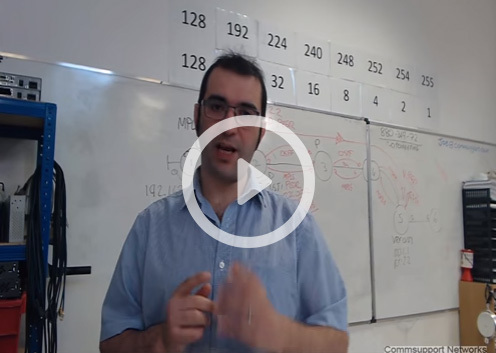 With your own personal recording of the class which you attended, you can listen to the lecture and study the configuration examples like when you were there. Only Commsupport offer additional remote lab access port course so you can continue to hone your skills as you study towards your CCNA SECURITY exam. 6 Routers and 3 Switches in each lab. Only Commsupport offer free of charge additional live on-line lessons during the evening so you can refresh and ask those brush up questions. These sessions are at the moment open only to Commsupport Students. 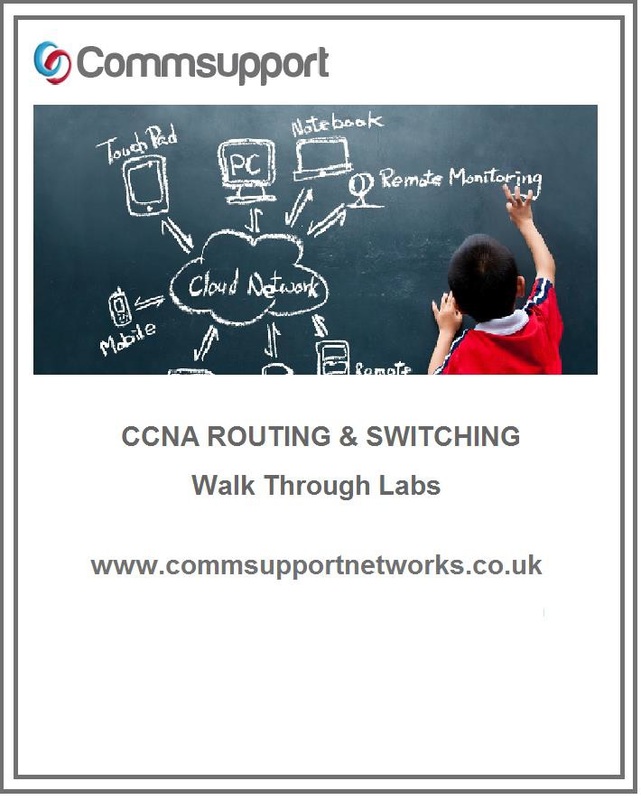 HANDS-ON LAB WORKBOOKS, KEY TO YOUR CCNA SUCCESS! What makes a course great? Apart from a knowledgeable instructor that is able to keep the class engaged we would say the course material. At the end of the day no matter how great the instructor is, you will be wanting to practice the skills you have learnt on the course in your own time. We have developed a series of Cisco SECURITY Lab workbooks which cover all the required subjects and more. Having just the CCNA under you belt is now seen as not enough to move forward in the networking world, employers are looking for more. Now you have the chance to increase your knowledge without breaking the bank. 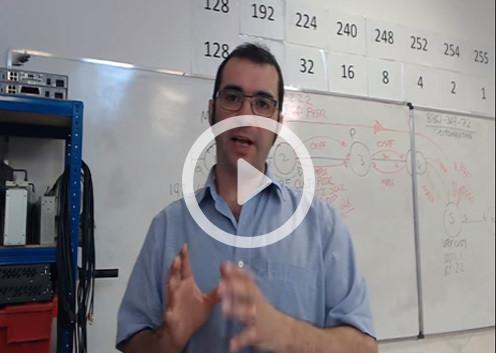 Should you consider undertaking the Advanced specialist CCNA’s? At the moment employers are looking for all rounder’s, therefore candidates with more than just routing and switching skills are at the moment desired. With Collaboration, Security or Wireless knowledge under your belt you will instantly have the advantage over others. We’ve Strapped a Rocket to our Cisco SECURITY Courses, this course is a combination of the CCNA SECURITY, CCNP FIREWALL course and the CCNP SECURE Course, learn how to initialise, maintain the ASA along with configuring NAT, ACL’s, Transparent, Multimode, Failover, Inspect Rules along with setting up complex VPN types such as VTI’s, DVTI’s, DMVPN’s, GET VPN’s, EZE VPN.